Fluke it may have been, but one that has proved incredibly popular – even by peat-hating malt drinkers like myself. As a whisky-loving female, I have tried many a malt, but have still never warmed to the idea of the smoky peated Islay whiskies. They were shunned, passed to the unwanted pile – until now. At a recent women’s only (!) 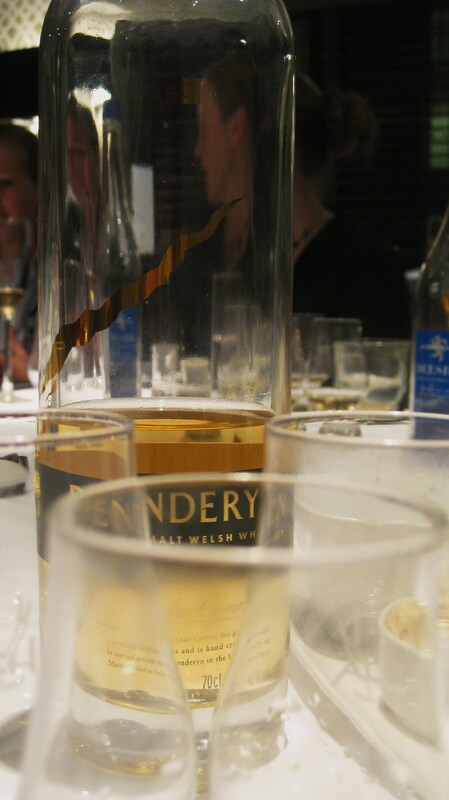 whisky tasting at the Albannach bar in London, I discovered the beauty of Penderyn’s Peated whisky. But, as MacDonald told the tasters, it should have never happened. Whiskies pertaining a peaty presence do so because the barley used to make it is first dried over bricks of peat, which infuse the flavour right from the start. For Penderyn – a staunchly proud whisky maker “down in the valleys” – this technique was not one it wanted to apply because the distinctive flavour is too associated with Scotch. “We re-use casks. So, we rang Scotland and asked for some ex-Scotch casks, specifically saying we don’t want any filthy peat casks! But somehow they slipped in a few and we didn’t smell them beforehand so they got through,” said MacDonald. After four years of putting the peat-flavoured whisky to one side, MacDonald says they finally decided to come out with a special edition, one-time only bottling of the stuff. Unforunately, the entire whisky world fell for it, with one famous reviewer giving it an incredibly high score on the whisky scale of 92.5 out of 100. And I can understand why – the subtle peat flavours are perfect for those wanting a bit of smoky notes in their malt, without it overwhelming the mouth with the firey, earthy intensity common to the more traditional blends. I can only imagine MacDonald will be on the phone more frequently, asking for those pesky peaty casks to continue the tasty delight that is the Penderyn Peated.